Featuring a keynote address by Heather Mills, anti-landmine activist and recipient of the 2004 Human Security Award (presented on April 28th, 2004). Chancellor Ralph Cicerone and CUSA Director Richard Matthew present Heather Mills McCartney with CUSA’s Human Security Award at CUSA’s 2004 Human Security Summit. Heather’s charity work as Patron and as an Ambassador for the global campaign has helped raise over $18.5 million to date, funding clearance of over 21 million square metres of mine filled land and benefiting more than 400,000 people. No More Landmines is now the largest funder of landmine clearance in the world and has funded over 300 minefield clearance and survivor assistance projects. Her efforts and determination in this field took on an ironic significance when in August 1993 her life changed for ever when she was involved in a road accident with a police motorcycle and suffered numerous injuries including crushed ribs, a punctured lung, multiple fractures of the pelvis and the loss of her left leg below the knee. Just one year after this accident, Heather arranged for the first convoy of artificial limbs to be sent to Croatia. Since then over 400,000 amputees and survivors of landmine explosions around the world have been helped. Her personal experience as an amputee and the positive manner in which she dealt with her recovery gives Heather a unique insight and affinity with those who themselves have lived through a tragic experience. Heather voluntarily counsels people from around the world who have lost limbs in accidents, through illness, natural disasters and terrorist atrocities. Her personal advice, determination and commitment help them and their families realize that they can continue to lead rich and fulfilling lives despite their injuries. It was in this spirit that Heather recently appeared on the Hit US Television show Dancing with the Stars proving this point in spectacular cart wheeling style. 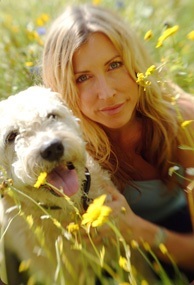 Heather donated all of her proceeds from the show to Viva!, (Vegetarians International Voice for Animals) to which Heather is a committed Patron and activist. Heather now lives purely on a plant based food diet as she is painfully aware of the brutal treatment of factory farmed animals in the UK and around the world. Her interest in the benefits of holistic nutrition was first stimulated in 1994 when a strictly organic plant based raw diet healed a persistent infection in her leg where prescribed medicine had failed. Fighting for the humane treatment of animals is now at the forefront of Heather’s campaigning. She has received praise by both Viva! and Peta for her hands on approach helping to fight the animal cause. Heather recently joined a covert investigation at a pig breeding unit with Viva! to film the cruelty that breeding sows have to endure managing to generate massive publicity to raise awareness to the terrible treatment of these poor creatures. In a massive victory for Dogs and Cats in China on June 19th 2007 the European Parliament voted unanimously to ban the import, export and trade of Cat and Dog fur from China into the European Union by December 31st 2008. Heather played a key role in managing to gather over 250,000 petition signatures from this website getting a new law introduced across all 27 Member States of the European Union, affecting 500 million EU citizens and saving the lives of an estimated 2 million cats and dogs each year in China alone, where they faced cruel slaughter and sometimes were even skinned alive, simply to supply the fashion and toy trade in Europe. When Heather was sent a video exposing this cruelty, she felt she had no choice but to act and she joined a committed team including Euro MP Struan Stevenson, Rick Wakeman and the Humane Society to highlight the cruelty of this trade and bring it to the attention of the world’s media. Heather has won numerous accolades and awards including, the inaugural UNESCO Children in Need Award. The University of California honoured Heather with the Irvine Award and have established a Fellowship in her name. She also received an Open University Doctorate in 2004. Heather lectures before audiences ranging in size from 30 to 3,000. In December 2001, Heather made an emotional return to modelling with a difference. After hearing her speak, when accepting an award at the Mothers & Shakers Awards in New York, American clothing company I.N.C. realised that Heather, rather than just being a speaker, was someone who stood out and had a positive inspirational effect on those around her. They then asked her to front their International Concepts of Inspiration campaign. The successful campaign raised awareness and funds for No More Landmines. To date INC have donated $100,000 to the charity. Heather was invited by legendary chat-show host Larry King to guest host two of his shows. “Larry King Live with Heather Mills and Paul Newman” was broadcast worldwide on CNN, April 17th 2004. Larry King was thrilled with Heather’s interview. Larry had found Paul Newman one of his most difficult guests to interview due to his humble and shy nature. Subsequently, following Heather’s amazing debut he asked her to cover the wedding of Prince Charles and Camilla Parker Bowles in place of him. She had to conduct live interviews with 5 people around the world in the same programme. The show was a total success. She is looking forward to doing more presenting in the future.